Hon. 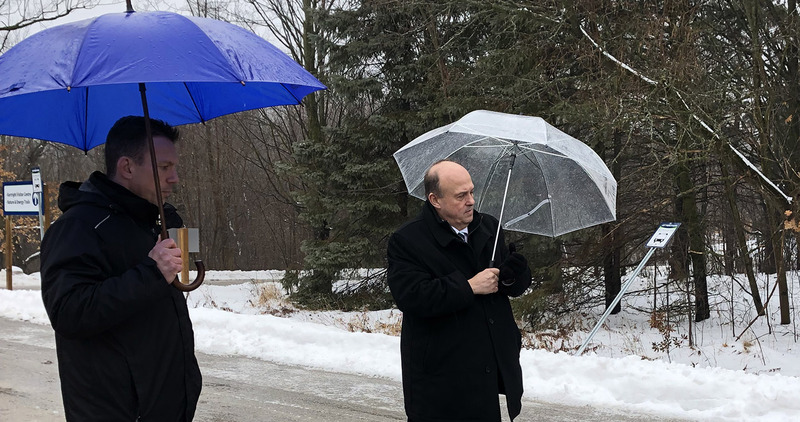 Michael A. Tibollo, Minister of Tourism, Culture and Sport, paid a visit yesterday to Kortright Centre for Conservation. Accompanied by Toronto and Region Conservation Authority (TRCA) CEO John MacKenzie, he toured Kortright’s sustainability education facilities, including the Visitor Centre and Archetype Sustainable House. During his visit, the Minister provided an update on the Province’s new made-in-Ontario environment plan. Released in November, the plan presents the government’s directions for protecting air, land and water, reducing litter and waste, building resiliency and reducing greenhouse gas emissions. The Ontario government is currently receiving public input on the plan. The comment period closes on January 28, 2019. Hon. 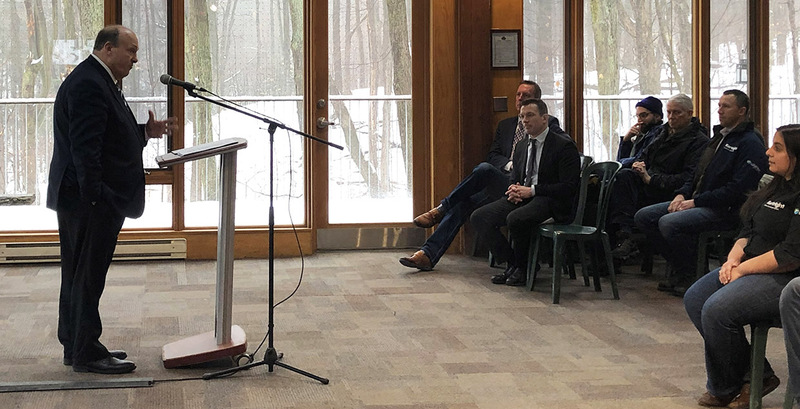 Michael A. Tibollo discusses the Province’s made-in-Ontario environment plan at Kortright Centre. TRCA’s Kortright Centre is located 10 minutes north of Toronto, on 325 hectares of pristine woodlands. It combines a natural oasis with some of the most leading-edge sustainable education programs and events in Canada.